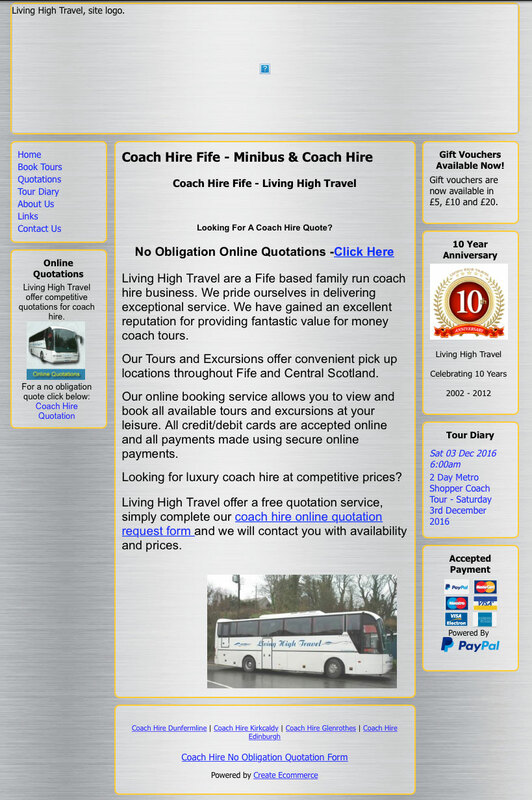 [vc_row][vc_column width=”1/2″][vc_column_text]Living High Travel is a family owned coach hire company in Fife and was formed by Ross Macmillan, a coach driver with over 15 years experience of carrying out coach tours to a wide variety of locations in both Britain and Europe. 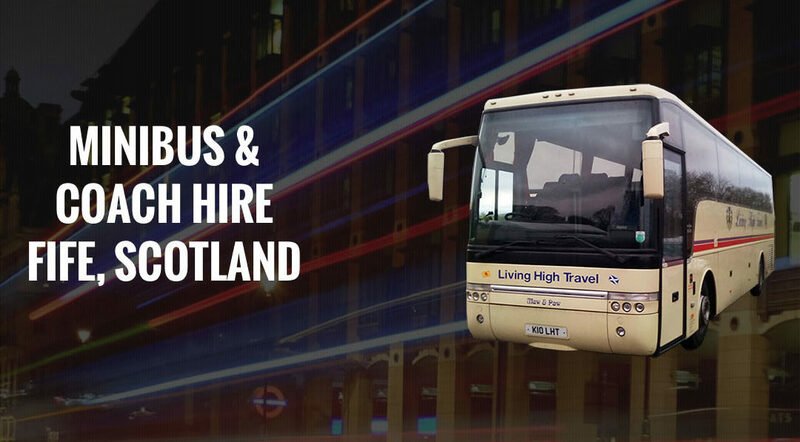 Ross contacted us in December 2016 and explained that his website had stopped working properly, he could no longer get in touch with his previous developer, and potential clients could no longer send enquiries through the website. We changed his website over during the festive period and it went live early January 2017 with a fantastic new look. 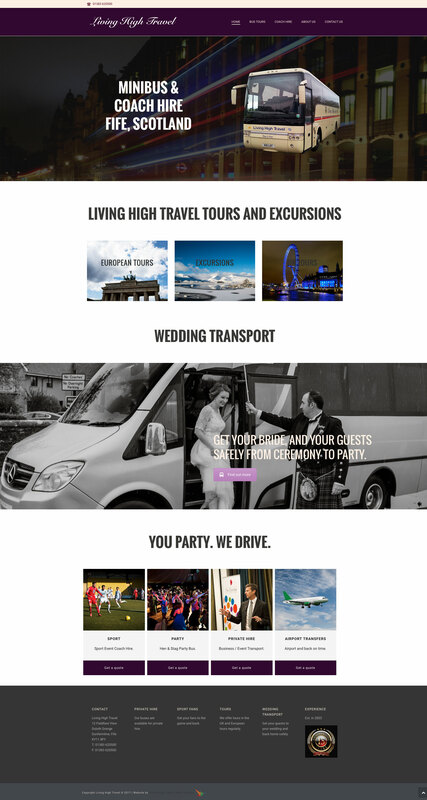 The business started receiving enquiries straight away, which only shows how important this is to the business. Below is the old layout and the fabulous new look for this established business.